Looking for a production system with OE fit and finish, or a full race build to run events? 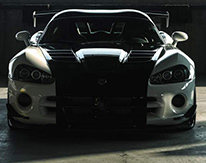 We have the proven product, knowledge, and experience to build the highest quality Gen 5 Turbo Vipers in the market. In less than 4 weeks you could be driving your very own RSI Twin Turbo Gen 5 Viper! RSI Triple Pass Radiators feature true visteon cooling cores. The "Triple Pass" baffled tanks have bleeders built in to assist with air pockets in the viper cooling system. These are fully welded and direct drop in! a 30 spline chromoly center bar and billet chromoly flanges mean these Axles are built to handle the torque of our high horsepower turbo builds. available for Gen 2, 3, or 4. We have teamed up to bring jesel's pro series rockers to the dodge viper market. The pro series is an affordable line of rockers boasting true jesel quality! Available for gen 2, 3, or 4. Twin Turbo Systems from 750 to 2500 Horsepower! Twin Turbo Systems from 700 to 2500 Horsepower! Twin Turbo and Supercharger Systems from 700 to 2500 Horsepower! Twin Turbo and Supercharger Systems from 650 to 2500 Horsepower! 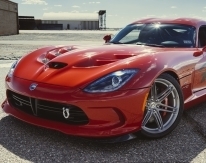 We are the leader in Dodge Viper performance. Our specialization in high performance forced induction systems and product development has enabled us to provide a quality of product unmatched in the market. We look forward to serving your needs for retail or wholesale product sales, manufacturing, tuning and turn-key installations.